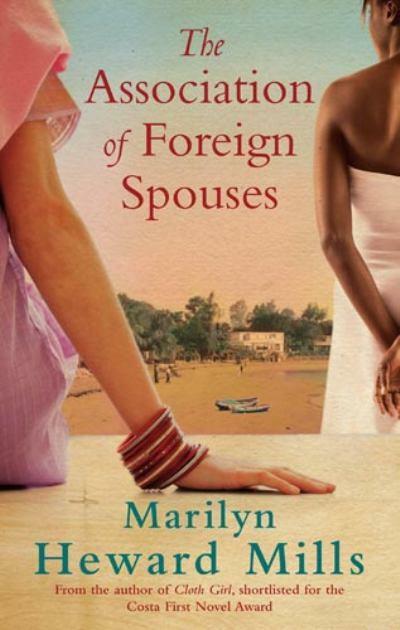 The Association of Foreign Spouses is Marilyn Heward Mills second novel after her debut Cloth Girl. I was very excited to read this novel, as it was after seeing this in the bookstore that led me to purchase Cloth Girl. Plus it is set in Ghana, at a turbulent point of its history, when coups formed part of everyday life. Great, I thought, a Ghananian version of Half of a Yellow Sun by Chimamanda Ngozi Adichie. Family drama set against the backdrop of political uncertainty. And more importantly, a chance to find out more about a relatively recent history that a lot of Ghananians still find difficult to discuss openly. Happy days! However, this humble reviewer is sad to report that the Association of Foreign Spouses did not live up to expectation. Eva is an English woman married to Alfred, a Ghananian architect. Having swapped the English countryside and the bright lights of London, she makes a home for herself and her three young children in Accra despite the inconveniences of the water and/or electricity being shut off on a regular basis and interfering in-laws popping in for extended stays, oh and the odd political coup. Her life is made easier by her three close friends, Margrit, Yelena and Dahlia who are also ‘foreign spouses’ trying to adapt to the tropical climate, the customs of their husbands’ people, and the demands of raising a family. Together, they form a close-knit bond and encourage each other through the ups and downs. This is pretty sums up the novel, as the women’s relationships take precedence over the increasingly violent political situation, which seems to take a back-seat most of the time. I thought this was a shame, as Heward-Mills missed an opportunity to give more of an insight into Ghana, other than oppressive heat and poverty. I know the story was being told from the the point of view of ‘outsiders’ but surely they’d lived long enough in Ghana to see that there is more than what meets the eye. More could have been said about the hopes and dreams of a nation after independence and why perhaps these were not realised. In fairness, at times these were touched upon but annoyingly gave way to some domestic crisis in Alfred and Eva’s marriage, or someone else’s. At other times, the plot seemed quite disjointed, like it hadn’t been edited properly or the author was in a rush to finish and get it over with. I clearly remember coming to the end of one rather dramatic chapter, thinking that one of the major was missing presumed dead, only for him to turn up a few pages on without so much of a blink and a passing mention to all the drama that had passed previously. Weird. I could go on, but there’s really no need. The Association of Foreign Spouses is an ok novel, it had good moments. But I think it could have been better written and could well have been the labour of love that Half of a Yellow Sun turned out to be, had the author carried out a bit more research and avoided going overboard with the ‘chick-lit’ and the constant whining about the oppressive heat and interfering in-laws. Posted on 5 January 2012 15 March 2018 by queenpea77Posted in ReviewsTagged African literature, books, chick-lit, women. It’s always such a shame when you’ve previously read an author and is so looking forward to their next offering only to find it does not live up to your expectations. I must admit I’ve not actually read any Heward Mills or other West African writers – this is something that must be remedied. Mmm ! I liked this novel and I’m about to read Half a Yellow Sun. I thought it was well written and it had me ‘gripped’ most of the time. As an ex-pat married to a Nigerian and someone who belongs to a similar association, behind closed doors, there are moans and groans about the domestics, the cooks, the gardners and just about everyone else. There is little thought about how fortunate we are and that our own situations does not even begin to compare to the majority living out there. Yes, as you say, there is more to Ghana than what the women complain of but that’s just the point – the racism the women give out never allows them to go beyond their security guarded gate until of course, they experience bloodshed right before their very eyes! And I imagine the same could happen here as Nigeria is becoming more and more unstable. The book gives an insight to the ‘outsider’ and I feel that the author did a good job of it. Hi, thanks for your comment and I take the points that you make. I think you will enjoy reading Half of a Yellow Sun and you’ll see why I make the comparisons/comment I do on this review. That said Half of a Yellow Sun is written from a different perspective. I think what jarred me with Association of Foreign Spouses is that I expected more from it. The domestic issues of the wives was the story and I didn’t feel that the impact of political situation was brought out enough, at times it seemed almost redundant but again it’s written from a different perspective. Yes you are right. Very little is said about the political situiation and the author could have delved more. Definitely I would have liked to have learnt more when Rawlings dealt (and the way he dealt with them!) with all those he felt looted the country and the massive effect it has had on the Ghana of today (beautiful peaceful place – electricity and water non-stop) but then that’s another story. Heward-Mills has a lot to give about Ghana and I hope to read more from her. But I’ve just started the first few pages of Half a Yellow, and the subtle way she ‘shows’ the class differences. I know I’m in for a treat! Yes, you definitely are! I would also .recommend reading Heward-Mills first novel, Cloth Girl which I also reviewed, if you haven’t already. I enjoyed that a lot more.